Asus has released few different series laptops with different configuration in a decade beside its other gadget products such as Smartphones and Tablet etc. The brand today launched one of the series laptop called VivoBook. 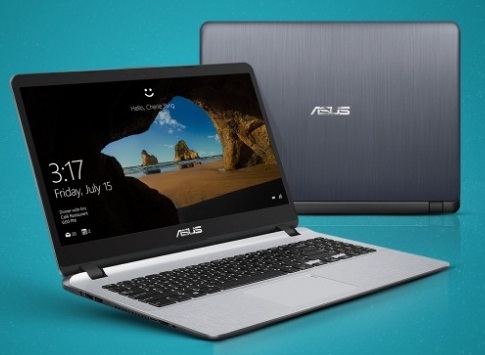 Yes, Asus has launched VivoBook 15 X507 laptop with a competitive price which starts from just INR 21,990 and above. If you are planning to buy a low cost laptop anytime soon then VivoBook 15 X507 series laptop is one of the option to go with. This could be one of the best laptop or even best selling laptop as well. You may get the best deal from Paytmall. And, if you are also looking for Asus VivoBook 15 X507 laptop key features, technical specification, price other than review and comparison detail etc. then you may find some of them over here. The laptop is powered by Intel Core i3 with 6th Gen Processor as max or it is available in a different variants as well in a low cost. The buyers have different option to buy as it comes with different processor and pricing. Yes, the customer can choose Intel Pentium N5000 quad-core or Intel Celeron N4000 or 6th generation Intel Core i3 processor laptops. The laptop runs with the latest Windows 10 operating system and it is paired with 4GB and up to 8GB of RAM for better speed. The internal storage of the laptop starts from 64GB or as per variants and up to 1TB. The device X507 comes with fast charging feature and would charge 60 percent of the battery in 49 minutes. The gadget is just a feather-light weight of 1.68*Kg. You may check its specs and price detail below. Tips: The brand generally releases the cheap and best laptop beside high-end features. Most of the VivoBook series are so good, thus, the Excalibur tech blog also suggest you to check and grab it.